With Ebola dominating headlines around the world and reports that predict that new cases of the virus could reach 10,000 each week by December, attention has now turned to the development of drugs and vaccines that can help slow the epidemic. Chematria, a Canadian company that makes software that enables researchers to predict potent drug candidates, has partnered with the University of Toronto and IBM to search for new treatments for the Ebola virus using artiﬁcial intelligence. The team announced today an initiative that will use a powerful supercomputer to simulate and analyze millions of potential treatments for Ebola. The initiative will exploit critical biological insights about how the virus replicates as a possible site for intervention. Chematria’s technology system is driven by a “virtual brain” that studies millions of datapoints about how drugs for a particular disease have worked in the past. With this information, the software can apply the patterns it perceives to predict the potential effectiveness of hypothetical drugs and suggest new uses for existing drugs. The technology helps zero in on possible drug candidates faster and at less cost than traditional research methods. The company’s technology has previously been used for research on malaria and leukemia, among others. “If we can ﬁnd promising drug candidates for Ebola using computers alone, it will be a milestone for how we develop cures,” said Dr. Abraham Heifets, CEO of Chematria. The team will use Chematria’s software technology to perform the drug research while the University of Toronto’s research expertise and insights on the virus will be used to interpret results. The Southern Ontario Smart Computing Innovation Platform (SOSCIP), a research and development consortium that gives researchers access to computing tools, provided the supercomputer. IBM is a founding member of SOSCIP. 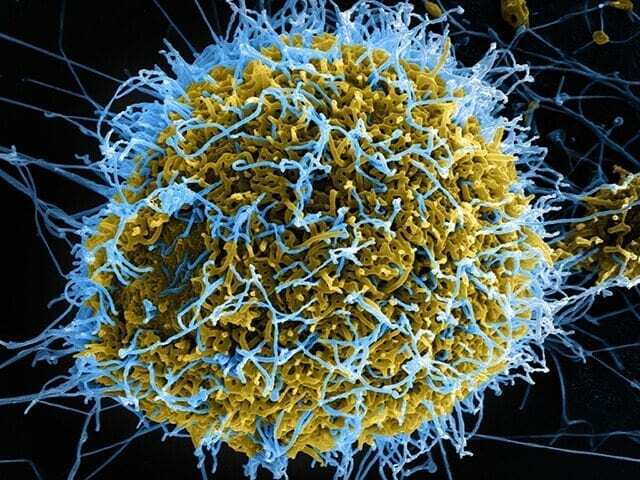 The current Ebola outbreak in West Africa is the largest since the virus was first discovered in 1976. According to the World Health Organization, there are currently no licensed Ebola vaccines.